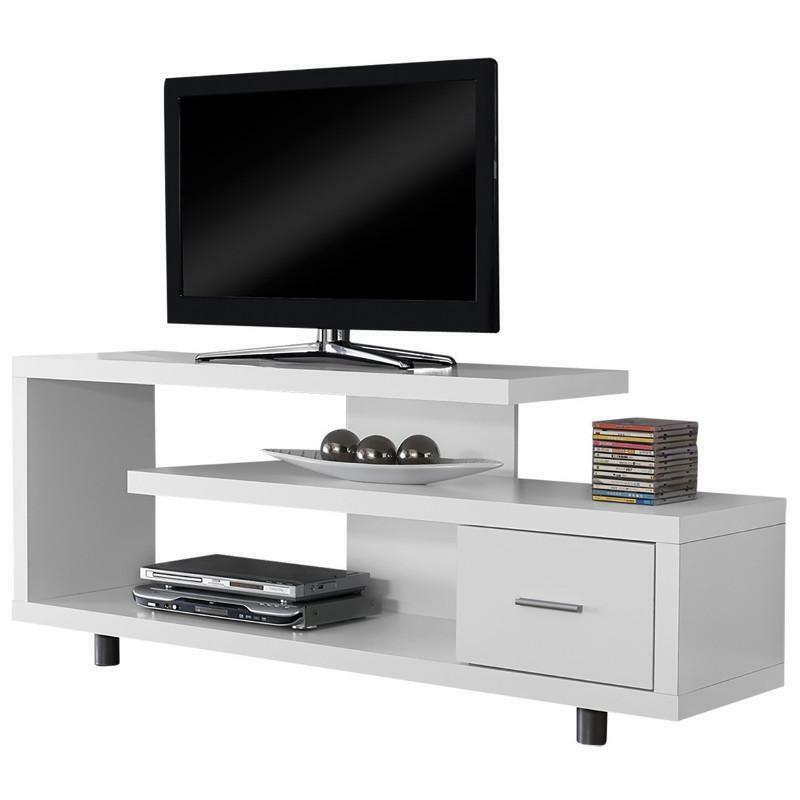 Enhance the look of your living space with the contemporary styling of this art deco inspired TV stand from Monarch Specialties. 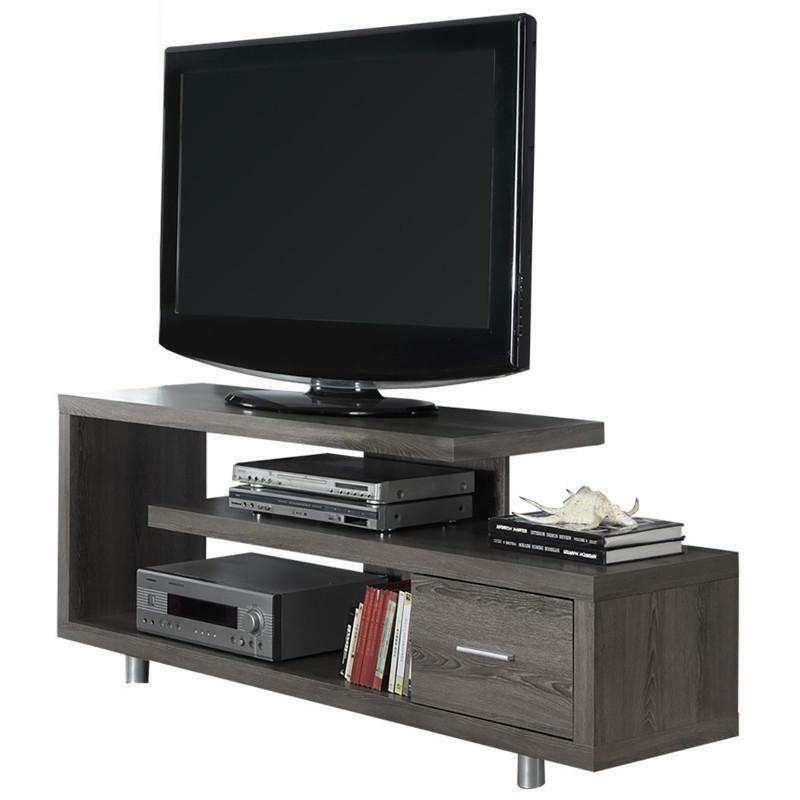 Constructed with thick panels, this stand features open concept shelving and a storage drawer ideal for media storage solutions. 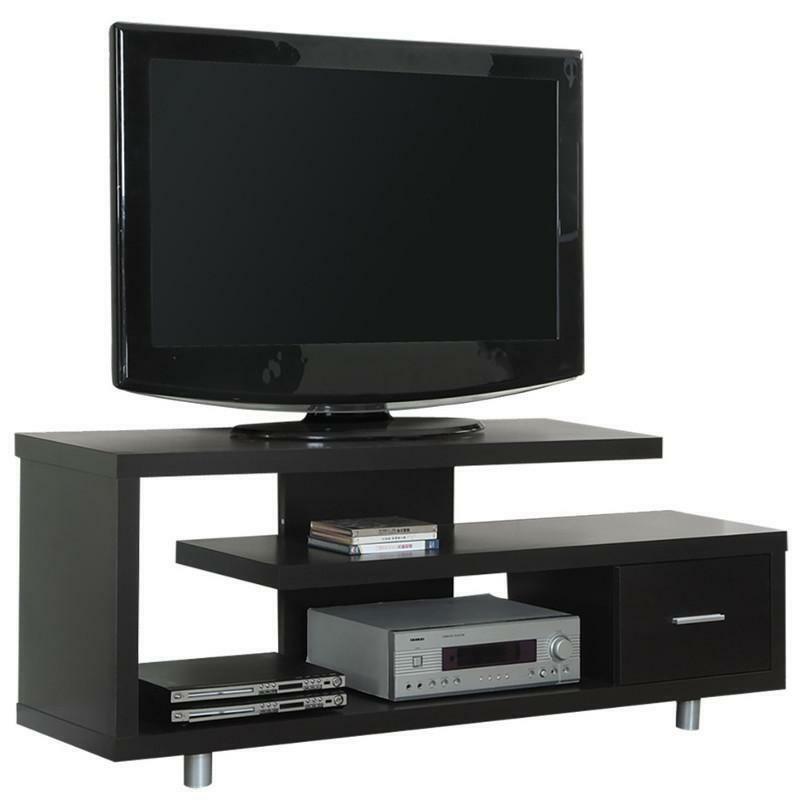 This stand will accommodates a panel TV with central support.